For some time I’ve been looking for a simple solution to get some DJ Sets of mine out to the public, and while mixcloud or soundcloud (except the little diskspace) are great for prerecorded stuff, I wanted something a bit more direct. I didn’t want to setup my own server, and was rather looking for a free online service. The first one I tried was mixlr, but that was soon abandonded again, because the soundquality of the free service seemed pretty lackluster, and I didnt want to get an expensive subscription just to try it out. Then it hit me. Why not use a video streaming service, maybe I can hook up a camera as well in the future. Having had good experiences with twitch.tv and justin.tv for videogame streams, I installed the Open Broadcaster Software (OBS) and started stream. 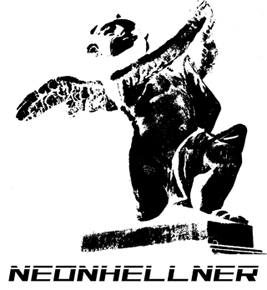 From now on you can find me regularly on justin.tv/neonhellner for some live DJ action.